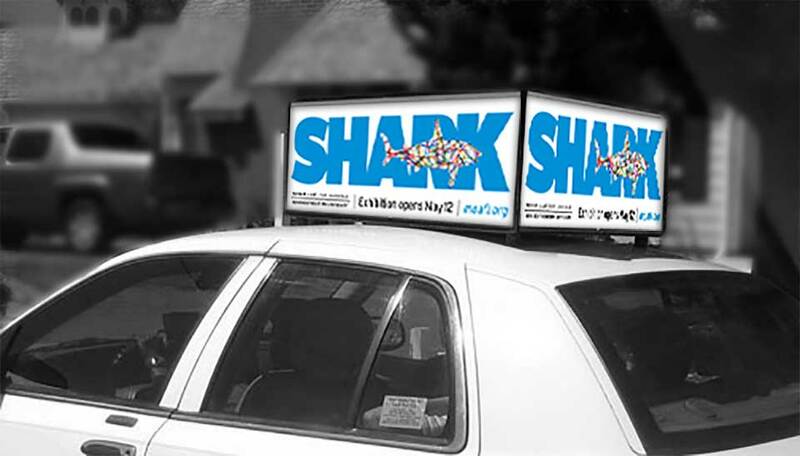 With colorful, dynamic creative and strategic marketing, Starmark was able to transform a demonized marine animal into a fascinating subject worthy of a visit to a museum. 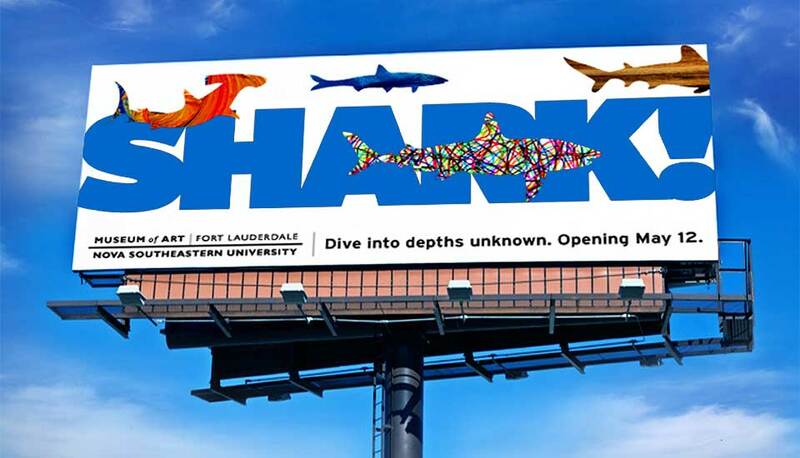 Such was the charge of the integrated marketing campaign for SHARK, the newest exhibition at the Museum of Art ⎪ Fort Lauderdale, Nova Southeastern University (MOAFL). SHARK, which runs through Jan. 6, 2013 at MOAFL, is a multi-media exhibition featuring sculptures, paintings, photography and film from more than 70 local and international artists. Acclaimed marine artist and author Richard Ellis is the guest curator. SHARK is being presented in association with Nova Southeastern University’s Oceanographic Center. The exhibition has a strong conservation message. 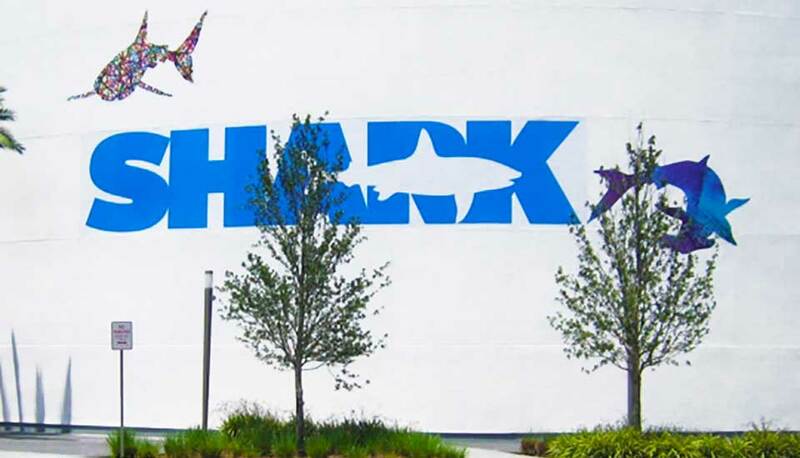 “Our creative department thrived on the opportunity to be inspired by a collection of stimulating art depicting the shark in a number of ways—strong and fierce, vulnerable and defenseless—and transformed the subject into a creative treatment that was approachable, intriguing and engaging,” said Jacqui Hartnett, president of Starmark. 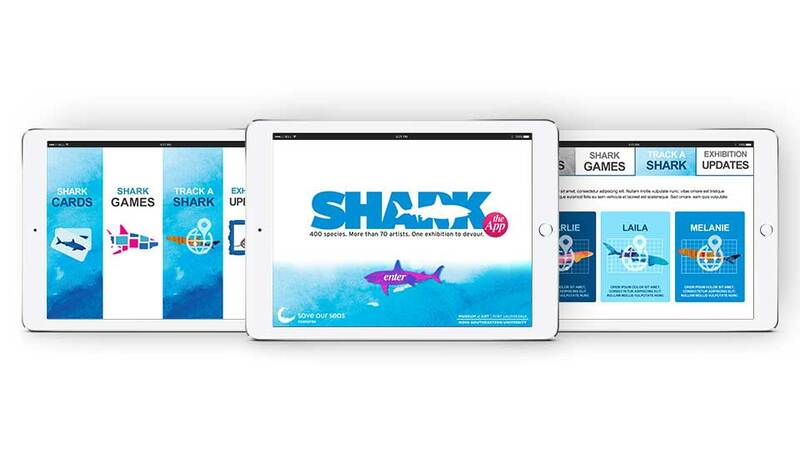 A tablet-optimized SHARK app that features games, quizzes and shark tracking. Public relations – see articles in Sun Sentinel & an interview on CBS Miami. Social media – follow MOAFL on Twitter (@MOAFL), Facebook, Foursquare and YouTube.